Fred Espenak’s career as a NASA astrophysicist at Goddard Space Flight Center spans more than 30 years. His primary research involves the infrared spectroscopy of planetary atmospheres although he is better known as NASA’s eclipse expert Mr. Eclipse. 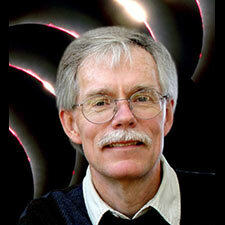 He is currently a scientist emeritus at Goddard and he maintains NASA’s official eclipse web site (eclipse.gsfc.nasa.gov) as well as his personal web site on eclipse photography (www.mreclipse.com). 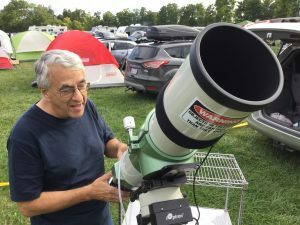 Fred has published numerous books and articles of eclipse predictions including the NASA Eclipse Bulletins series, and he is the co-author of the popular book Totality: Eclipses of the Sun. His magnum opus, the Five Millennium Canon of Solar Eclipses, includes a map of every solar eclipse occurring between 2000 BC and AD 3000. Since retiring, Espenak has begun a new series of eclipse publications through his company Astropixels Publishing. Among the most recent titles are Thousand Year Canon of Solar Eclipses, Eclipse Bulletin: Total Solar Eclipse of 2017 August 21, and Road Atlas for the Total Solar Eclipse of 2017. He also runs three web sites: 1) MrEclipse.com (all about eclipse photography), 2) EclipseWise.com (eclipse predictions for thousands of years), and 3) Astropiixels.com (astrophotography from Bifrost Astronomical Observatory). Espenak’s interest in eclipses was first sparked after witnessing a total solar eclipse in 1970. Since then, he has participated in 34 eclipse expeditions around the world including Antarctica. Fred’s eclipse photographs have appeared in both national and international publications, and he has lectured extensively on the Sun, eclipses and photography. 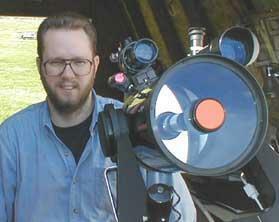 In 2003, the International Astronomical Union honored him for his work on eclipses by naming an asteroid Espenak. Fred now lives in rural Arizona, where he spends most clear nights losing sleep and photographing the stars (www.astropixels.com). The Sun is the most important star in our sky. This talk presents an overview and discussion of the physics of the Sun as well as some current research, NASA and other missions to our star, and a comparison of predictions to observations for the August 2017 eclipse. 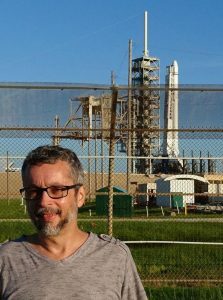 Bill Arden holds masters degrees in both physics and astronomy, and has recently wrapped up five years of research on the solar coronal magnetic field. This presentation will go through a whirlwind tour of a variety of projects to detect energetic cosmic-ray nuclei, electrons and antimatter particles arriving at Earth from still poorly understood sources within the Milky Way Galaxy and beyond. These projects involve large and complex instruments deployed underground, on the ground surface, flown on high-altitude balloons, or in space on satellites or the space station. They take place all over the world, including Argentina, Antarctica, and the International Space Station. The energetic particles detected at Earth give us glimpses of the most extreme and energetic environments in Nature. We will review the techniques and science of this endeavor, which has been a century in the making, but is now yielding fresh insights and high accuracy measurements with large instruments exposed for long periods of time. Stephane Coutu has been working in experimental particle astrophysics for 30 years, investigating Nature’s highest energy phenomena by studying cosmic rays. These are cosmic messengers, atomic nuclei, electrons, gamma rays, neutrinos, and even antimatter particles from extreme environments in the Galaxy and beyond, such as shock waves from supernova blasts or accretion disks onto supermassive black holes at the center of distant radio galaxies. Coutu worked on the DoE MACRO experiment looking for magnetic monopoles under a mountain in central Italy, on the NASA HEAT balloon experiments measuring positrons and antiprotons at the top of the atmosphere in New Mexico and Northern Canada, on the NASA CREAM series of balloon missions in Antarctica to detect and map out high-energy nuclei, and on the NSF Pierre Auger Observatory project deployed over an area the size of Rhode Island in western Argentina, detecting the most energetic particles in the Universe today. 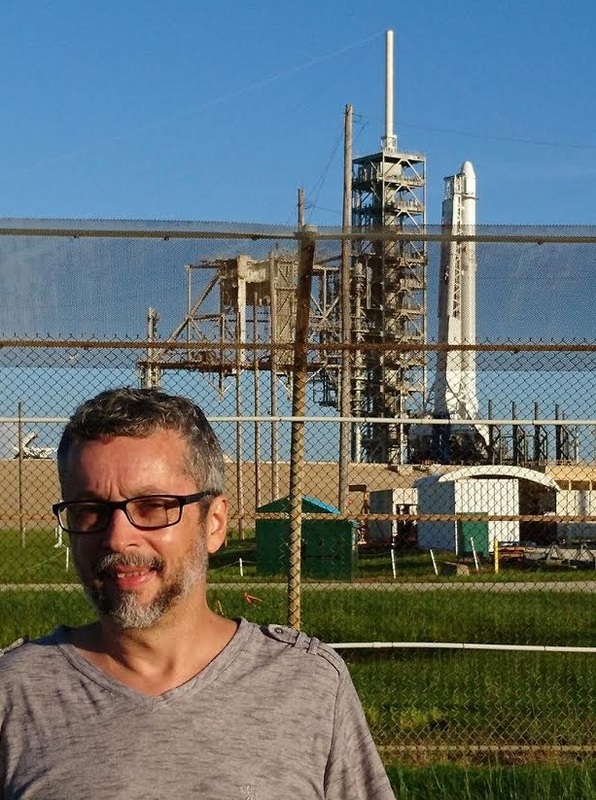 In mid-August 2017 he and his team launched a new instrument, ISS-CREAM, on the SpaceX 12 rocket just now installed on the International Space Station and starting a 3+ year mission to make the definitive measurements of cosmic-ray nuclei from hydrogen to iron. He is involved with a new NASA balloon project, HELIX, planning to measure cosmic-ray isotopes over Antarctica in 2019, and is planning a space mission to study super-heavy cosmic rays. Coutu has been on the Penn State faculty since 1997 and is now a professor of physics and of astronomy and astrophysics there. He was a recipient of the 2001 Presidential Early Career Award for Scientists and Engineers, and is a Fellow of the American Physical Society. Edward Emerson Barnard was a professor of astronomy at the University of Chicago Yerkes Observatory. He is considered by some to be the last great Victorian classical visual observer, living at the dawn of the age of the “New Astronomy” – astrophysics. But Barnard was also one of the first pioneers of wide-field photography, studying the structure of the Milky-Way. We’re going to look back on his life and accomplishments, including his ‘Photographic Atlas of Selected Regions of the Milky-Way’, and also review several of my observations of his dark nebula.